We send our samples at no charge. Please advise your shipper number for the freight charges. Solid Copper Straws - 1/4" dia. Solid Copper Straws - 3/8" dia. 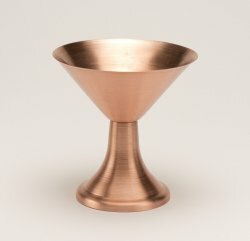 Solid Copper Gin Gimlet Glass. 10 oz.